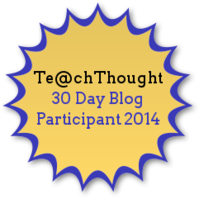 Amy and I created this blog in August 2010 to celebrate our tenth year of teaching. We faithfully blogged throughout that year, then took a hiatus. Now, in our 11th year of teaching, we both miss blogging and plan to get back to it. Although we haven’t been writing much online, we have been doing some personal writing. Amy, for example, is taking a graduate-level fiction class that sounds amazing. So far, I have not been able to pry the drafts of her new short stories out of her hands, but I do believe that she is creating some very special writing. The biggest news to develop for us since we’ve been away from the Blended Voices blog is that Amy and I will be traveling to Poland and Israel this month! We will blog to share our journey with our students, family, and friends. Gwinn High School English teachers Heather Hollands and Amy Laitinen, will join 16 other educators from across the United States, all of whom have received fellowships to participate in an educational tour of historical sites in Poland and Israel from March 24 through April 4, 2012. They will travel with Professor Sondra Perl of Lehman College of the City, University of New York, visiting historical sites related to the Holocaust and important contemporary Jewish life. They will then bring their firsthand experience of these places back to their classrooms and communities. Hollands and Laitinen belong to the Holocaust Educators Network, a program sponsored by the Memorial Library in New York City, which is comprised of a group of more than 100 middle school, high school, and college faculty. The teachers, whose backgrounds and faith traditions all differ, are experts in teaching about the Holocaust, other genocides, and issues of social justice. Hollands and Laitinen, along with teacher Corey Harbaugh of Gobles, Michigan, led a satellite seminar for the Memorial Library in Kalamazoo during the summer of 2011, and worked with teachers from across the state, helping them learn about the Holocaust and enabling them to develop action plans and implement a curriculum that addresses social injustice on both the local and global level. During this trip, the group is scheduled to visit Poland’s extermination camps including the Warsaw Ghetto, Oskar Schindler’s factory, and the concentration camps including Majdanek and Auschwitz. Their journey will be made more personal as together they will walk where survivors they have met in New York have walked: they will see where Gisela Glaser labored in the Plashov concentration camp, where Irving Roth dug ditches near Birkenau, and where Olga Lengyel used her skills as a physician’s assistant in the infirmary at Auschwitz. In Israel, the group will see what has grown from the ashes of Auschwitz. They will travel to Tel Aviv and Jerusalem, where they will be able to tour both sacred and secular sites including Yad Vashem: The Holocaust Martyrs’ and Heroes’ Remembrance Authority, and visit Masada, a UNESCO World Heritage Site of critical importance of Jewish history. The group will travel with a Holocaust survivor and a historian and will meet with educators in order to exchange ideas about the rewards and challenges of teaching about the Holocaust. Throughout their trip, Hollands and Laitinen will write about their experiences for a blog created for their students back home. To learn about the Memorial Library, the Holocaust Educators Network, the Summer Seminar and the Satellite Seminar programs, please visit www.thememoriallibrary.org. This entry was posted in Holocaust Education, Teaching, Travel and tagged Auschwitz, Auschwitz concentration camp, Holocaust, Israel, Olga Lengyel, Poland. Bookmark the permalink. I am thrilled to have discovered your blog, your teaching of the Holocaust, and your upcoming travels. I lived in Israel from 1966-67 (when I became a veteran of the Six Day War). In 1989 I traveled to Poland as part of the Spertus Museum of Judaica planning team in preparation of an exhibition of Polish/Jewish art. While in Poland, I hired a driver and retraced some of my own family roots in Warsaw, Bialystok, and Sokoly, and visited Krakow and Llodz for work-related activities. One of our team was a Survivor of Auschwitz, which I visited (alone), spending a full day paying tribute to those who perished. I felt it a moral responsibility to become an extended Witness (as I did at Yad v’Shem years earlier in Israel. My time in Poland permeated my soul to such a depth as to give birth to a 12 year journey writing a novel drawing from my experience. After thousands of hours of research (I’m a former HS teacher and am a stickler about historical accuracy) and thousands more writing, I finished the first draft this past month (and am now working on revisions). Your hit home in that my book is about Max Golanski, an 81 year old Survivor who returns to Poland seeking to make whole a life ripped apart by Hitler’s Final Solution. Only with the help of a mysterious driver and student travelers in Poland is Max able to preserve the memories of those who perished. Like SARAH’S KEY, past and present intersect as each one’s choices define their humanity, inform their destiny and shape their relationships with God. The head teacher of the small tour group raises some of the critical questions regarding teaching the Holocaust to young people – and with Max discuss the imperative of awareness as empowering new generations to stand against repeating the worst episodes of history. I hope you can visit my blog – perhaps follow to get future posts (as I will follow yours). I’m hoping to bring GOLANSKI’S TREASURES to publication within the coming year and would value your input. I look forward to hearing more about your travels and teaching! Congrats you two! How exciting! Most deserving!